Form R-5626 or the "Application For Authority To Ship Alcoholic Beverages Into Louisiana" is a form issued by the Louisiana Department of Revenue. 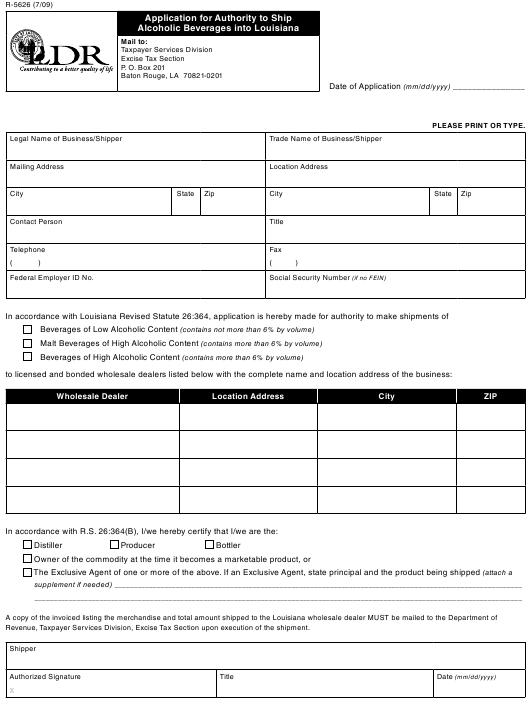 Download a fillable PDF version of the Form R-5626 down below or find it on the Louisiana Department of Revenue Forms website. Revenue, Taxpayer Services Division, Excise Tax Section upon execution of the shipment.